BrainFutures - BrainFutures is Gearing up for Brain Awareness Week! Here’s How You Can Participate! BrainFutures is proud to partner with the Dana Foundation in Brain Awareness Week (BAW), a global campaign to increase awareness about the progress and benefits of brain research. As a part of our participation in BAW, BrainFutures will be at the B’more Healthy Expo to share our work with the Baltimore community. 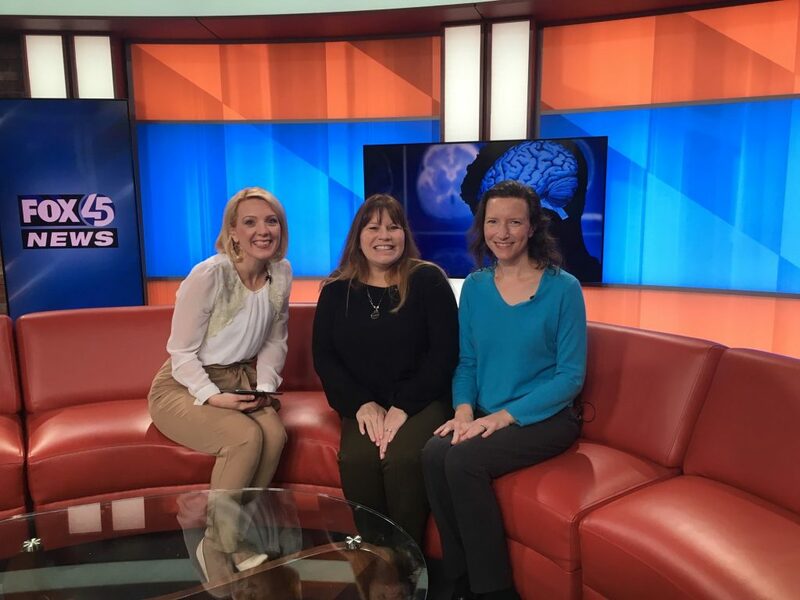 To promote our appearance, Program Director Karen Alexander and Kari Gorkos, senior director of Public Education & Programs at the Mental Health Association of Maryland, visited Fox 45 to discuss children’s mental health and brain fitness with host Megan Gilliland. Be a role model by practicing better brain health. Striving for better brain health could help you accomplish other goals as well as enhance your everyday life. Attend a BAW event. In observance of Brain Awareness Week, BrainFutures will be an exhibitor at the B’More Healthy Expo on Saturday, March 16 from 10 am to 4 pm at the Baltimore Convention Center. We are excited to share fascinating resources and helpful tips on how to maintain and improve brain health for people of all ages. Use social media. Connect with BrainFutures on Twitter, Facebook, Linkedin and YouTube and other like‐minded organizations. Share brain research updates with your friends and family on social media platforms. Participate in a clinical trial. Scientists learn from studies about how normal brains function. Search the National Institutes of Health’s listing of trials at www.clinicaltrials.gov. Here are some additional ways to become a brain advocate.